For many years, the industry has strived to make it possible to link applications together in a way that enables them to share resources. Technologies like Distributed Computing and the Common Object Model (Com) have been honed, pared back and refined into web services, the so-called service-oriented architecture and now, composable applications and microservices. Composable applications is the idea that the functional blocks of an application can be decoupled from the complete applications. These individual component parts can then be more finely tuned to create a new application that once reintegrated, is ideologically, if not also functionally, greater than the sum of its parts. A modern applications architecture comprises of an elastic microservices architecture, which offers advantages like better performance, scalability and fault isolation along with minimising application downtime. Microservices provide building blocks on which composable applications can be built. But unlike its predecessors, tend to run on bare metal hardware or on virtualised servers, a microservice runs in a container, which is both lightweight and portable. Using a container means the microservice can be hosted on-premise or in the public cloud. While it makes total sense for businesses to strive for cloud-native application development, where applications are engineered for a cloud-only infrastructure, the reality is that not every workload is suitable for the cloud. 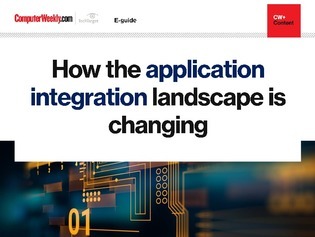 It is therefore necessary to consider how application integration works when the microservices needed span public and private cloud infrastructure.